Looking for a different event to engage your staff, get them working together or simply as special thank you? 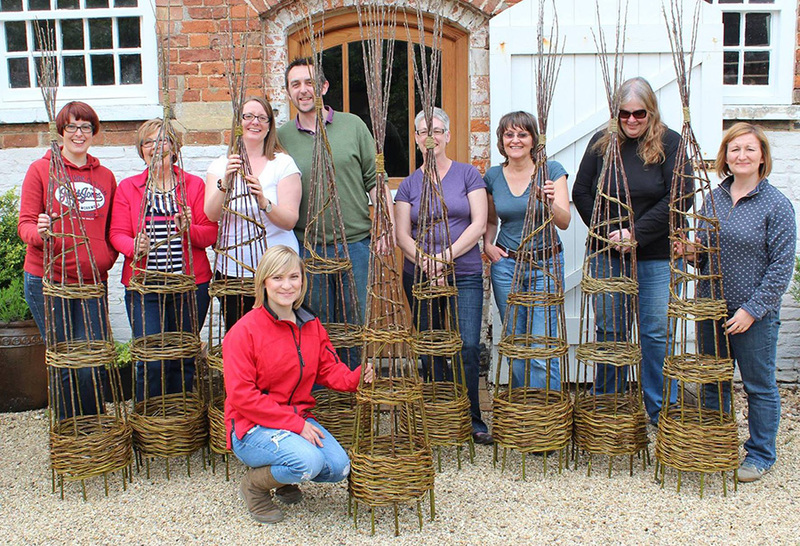 Why not organise a group workshop from a couple of hours to a whole day. We come to you, bring everything you need and inspire everyone to join in, help each other and make stunning arrangements. 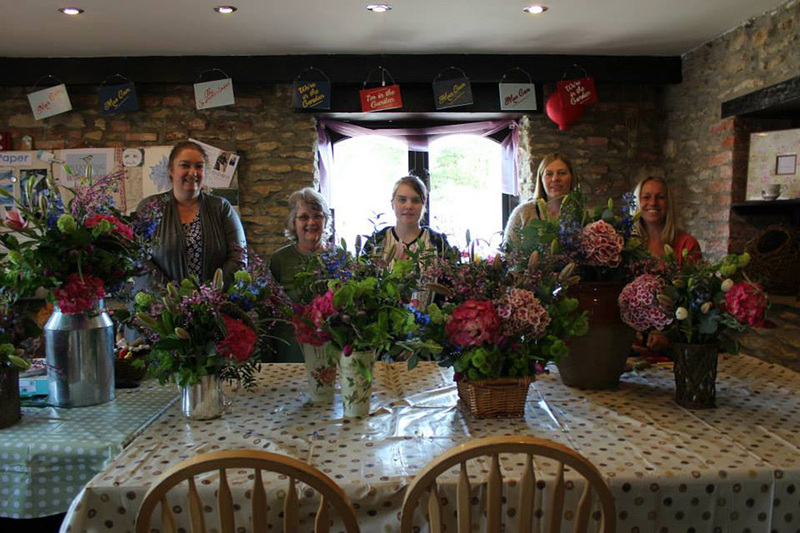 Booking private tuition with Blooming Crafty is the perfect way to learn – with expert floristry tuition by Jessica Notley, in a relaxed and informal way. Just tell us a bit about your requirements, i.e what experience you have (and therefore what level of skill we should base the course around), which area(s) of floristry you wish to cover and would like to achieve, and leave the rest to us! We will devise a suitable work plan, supply a list of materials (and provide the floral materials if necessary), in readiness for your workshop, so you can concentrate on getting as much as possible out of your time with us. Private tuition is perfect for groups as well as individuals. Please get in touch for our costs and to book on 07850455574, or email us. If you are interested in enrolling on one of the courses, please do not hesitate to contact us for further details and to check course availability. Full payment is required to secure a place. At the time of booking, you can make payment over the phone or send a cheque made payable to Jessica Notley including your name, email, telephone number and course title. On receipt of payment, we will send your course confirmation. Please note that should there be any additional cost for materials this will be noted in the course description. Some optional materials may be available to purchase on the day if wanted. We can come to you and deliver a demonstration to large groups of people. See below for details of our sessions. 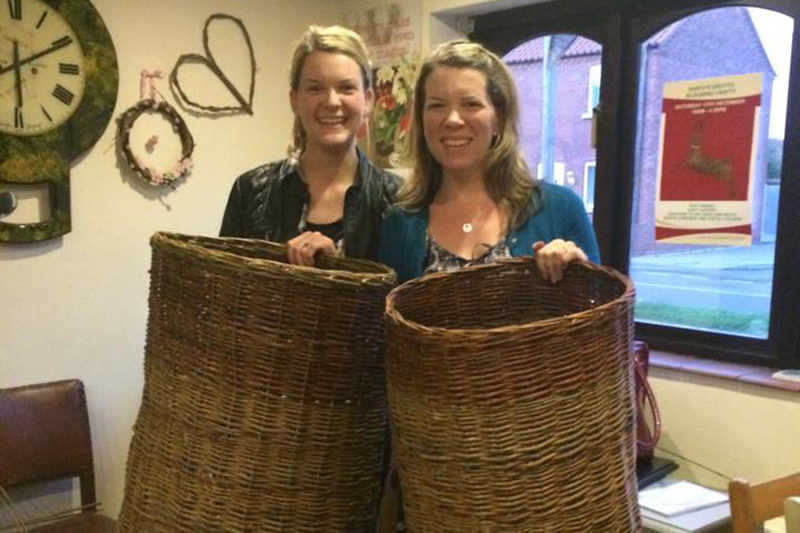 This is a fab workshop for those interested in furthering their basketry skills. 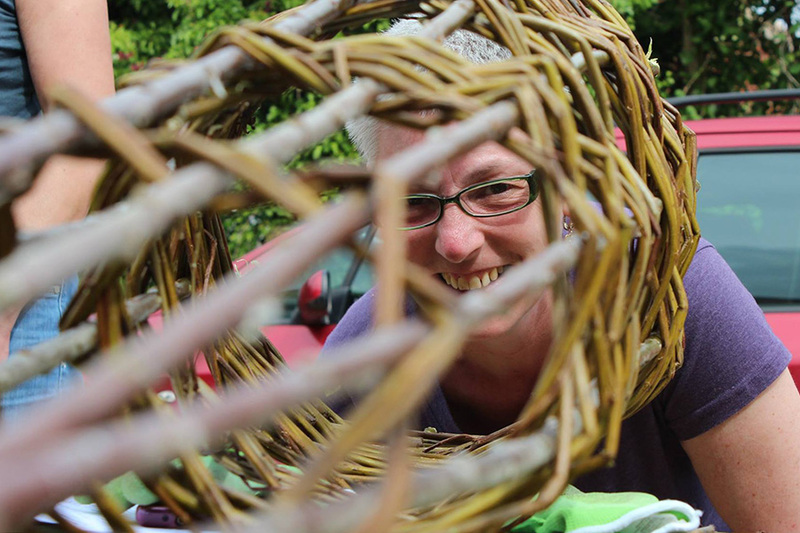 Each participant will weave a solid willow heart and then decorate with flowers. £3 per head for 1 hour. Create a 100% natural wreath. Participants will be required to bring a small bag of foliage with them. 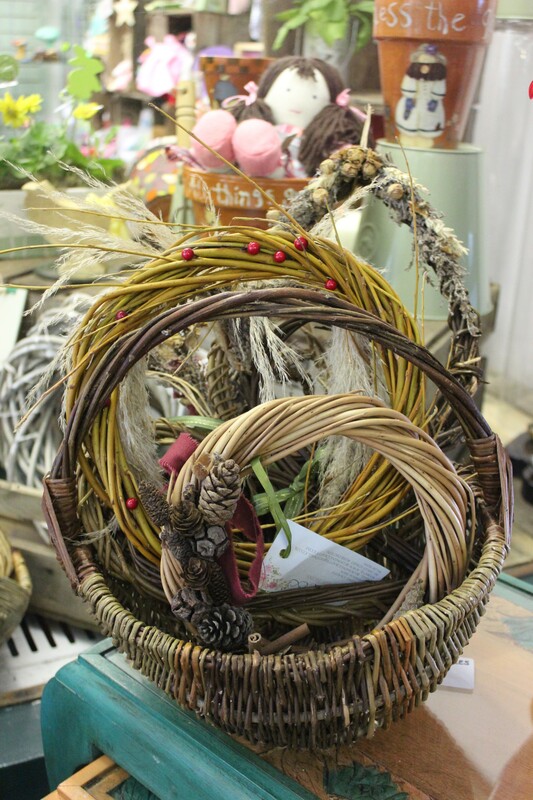 I will guide attendees through making a willow hoop, covering with foliage, and then decorating with all things natural. £65 for 1 hour. I run 4 floristry workshops; spring, summer, autumn, winter. 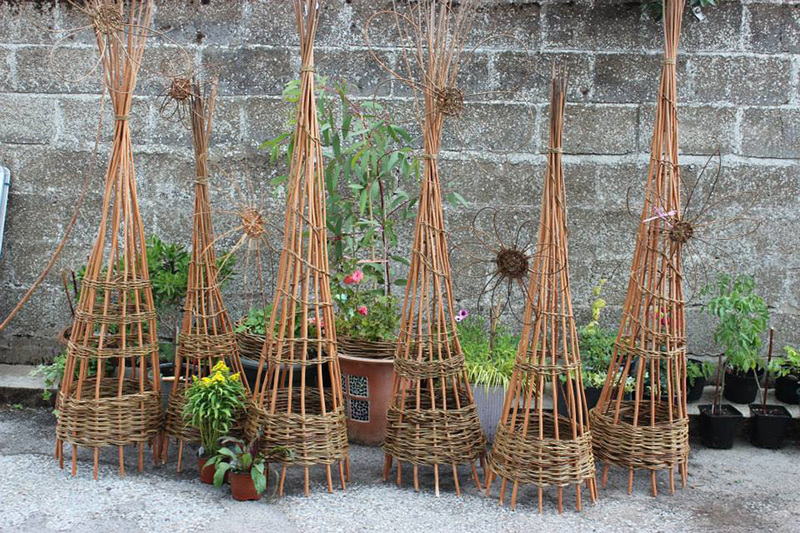 Each workshop is different but requires participants to bring a small carry bag full of foliage with them. £3.00 per head. Would you like to get together with your friends (perhaps over a glass of bubbly) have fun and learn something creative at the same time? Book a group workshop from a couple of hours to a full day. You decide what you would like to create and we do the rest including materials and refreshments. Ladies – we can come to you too! 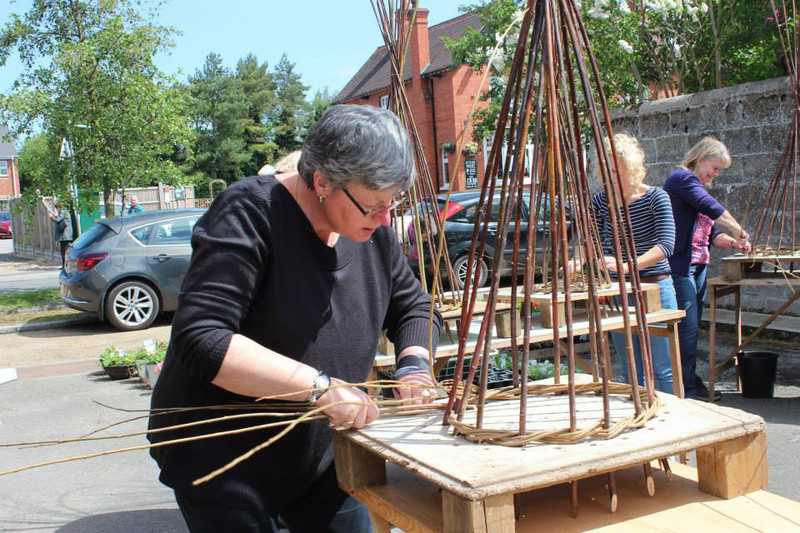 Want to find out more about our demonstrations and talks? Get in touch.